Zinio recently contacted me to help spread the word about their December discounts and to host a magazine subscription giveaway for my readers. Zinio have thousands of top magazines from around the world and you can browse and purchase subscriptions or single issues instantly from your computer or mobile device to read wherever and whenever you like. My top picks of the digital subscriptions are above. Which are your favourites? 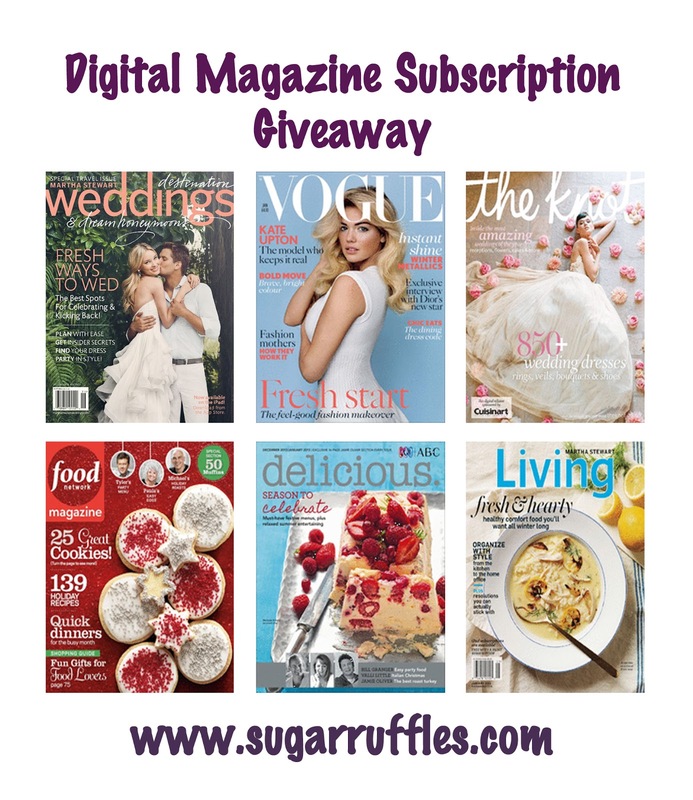 Leave me a comment telling me which magazine you would like a subscription to. Please include an email address so that I can contact you if you win. 9 readers will be selected randomly on 23rd December 2012 and will win a magazine subscription. This giveaway has now closed and an email has been sent to all the winners. Congratulations to all the winners! It would absolutely have to be Delicious! I would love the Food Tv. I am sure that it is just brimming with all sorts of ideas. i'd love a subscription to elle, vogue, or harper's bazaar. I would like the Food Network Magazine!